Hike-NH.com - View topic - Mount Washington Valley Ice Fest! The Mount Washington Valley (MWV)Ice Fest is the premier ice climbing and winter mountaineering event on the East Coast and one of the longest-running ice climbing festivals in the world! 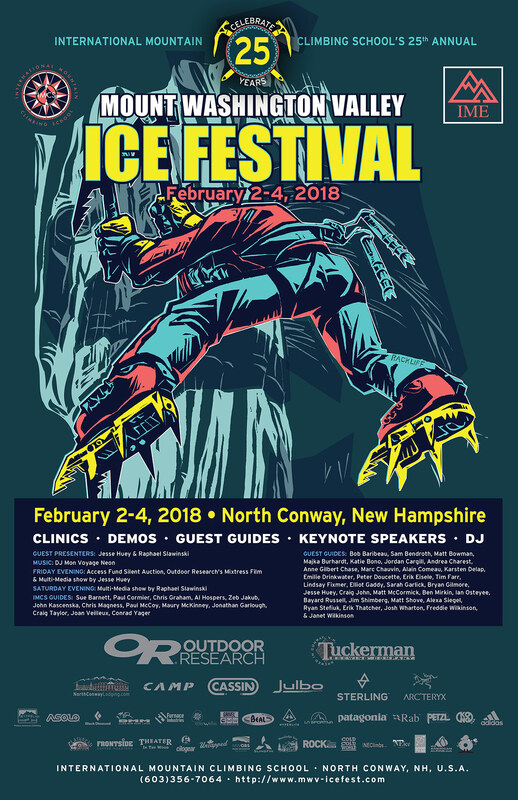 The Mount Washington Valley Ice Fest draws climbers from across the U.S. and around the world, offering skills clinics, gear demos, slide shows, and climber parties in one of the worlds most concentrated and accessible ice climbing locations. The MWV Ice Fest embodies the scrappy spirit of the New England climbing community, its richness of history, and character.